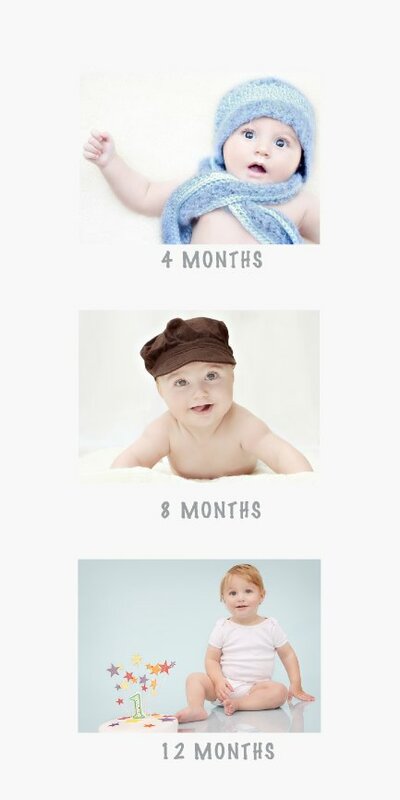 Because babies change and grow up so quickly, capture them for "life" in photos! This package includes photos to capture "steps" in their first year; 4 months, 8 months and 12 months. The 12 month photos could also be the cake smash photos if you'd like. Examples of cake smash photos can be seen under "Galleries" on my homepage. 45 minutes for each session at my in-home "studio"
The package fee is due at the time of booking the first session. Of course, when you book the first session we can also book ahead for the next 2 sessions. Please note: Digital photo package pricing applies per session.